A major priority in development work is the prevention from over-dependence on outside sources. You might be familiar with the saying, “You can give a man a fish to eat, or you can teach him to fish.” The saying implies that if you give a man a fish, once he has eaten it, you will need to give him another fish and so on whenever he needs to eat. However, if you teach a man to fish he will always have food. While the saying may be simple it is doubtfully an easy thing to accomplish. If our projects are nothing more than a “handout,” then the communities we work with will develop a nostalgia for life prior to their having a well. We have seen this many times. When the pump breaks people go back to drawing water from the contaminated sources they used before. They can seem indifferent to where they get their water. WWFA believes part of this is due to a lack of ownership and responsibility for the well. The leaders and elders of a village must be integrated into the decision-making process from the beginning and hold a balance of investment and responsibility in the project. It is WWFA’s responsibility to empower them to do so. However, ownership is not naturally accompanied by a well’s installation. We learned that the key to empowerment begins with listening. 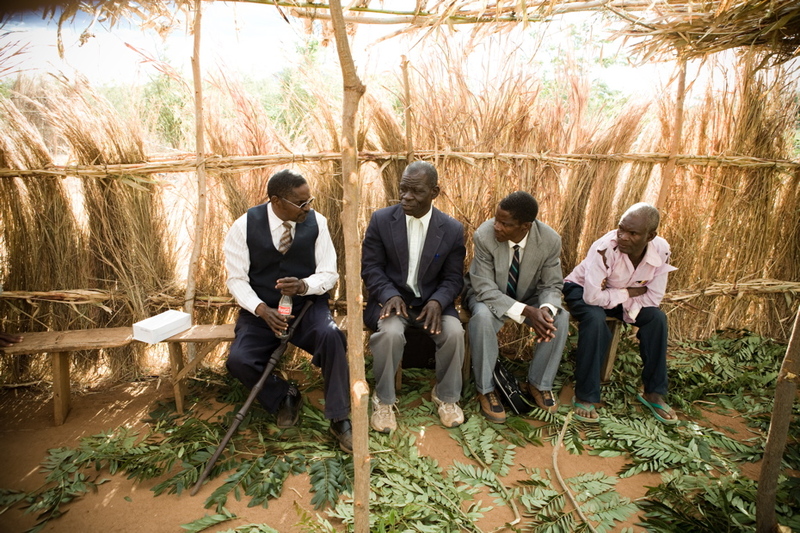 Because we’ve listened we’ve learned the process village elders use in making large decisions. We’ve learned that every community has different motivations for having a well. We’ve learned that needs are in someways subjective. And by finding un-imposed and unmolested motivation within a community for having a well, empowering them to then unite and achieve their goal becomes much easier. The result of this kind of empowerment is that these communities possess full ownership of the well. When someone misuses the well, the elders deal with them appropriately. If there is conflict, they have a reason to resolve it. It is after all their well. In order to give the well recipients the tools to sustain their pump and borehole, we provide multi-faceted training to every village that receives one of our wells. The village forms a committee that carries out Community-Based Management (CBM). The village community selects their own CBM committee members. The requirements are as follows: 1) The committee has 10 people: 5 men / 5 women or 6 women / 4 men; 2) At least 50% of the members must be able to read and write the local language; 3) Members of the committee must be permanent residents and not involved in many committees; 4) They must be considered to be trusted and of good reputation. NOTE: *WWFA funds all of the training. WWFA provides the educational lessons for Area #3 but does not train the committees on Areas #1 and #2 above. Rather, facilitators and teachers come from the government agencies that are responsible for the district where the borehole is located. This is done in order to link the officers with the community so that they can easily communicate and visit any time when the need arises. To ensure that the villagers are made aware of the basic hygiene principles so that maximum benefits are obtained from the borehole. [Note: In a subsequent educational session, WWFA provides much more training and practical information on hygiene – see below]. To ensure that the hand pump is always in good working order with clean surroundings at all times. To ensure that maintenance fund contributions are handled carefully and used properly. To ensure that users of the handpump do so correctly and in accordance with any rules or regulations that the committee decides upon after consultation with the community. To represent the water users at meetings and discussions with the government and other organizations concerning water and sanitation issues. To meet regularly to resolve any problems and keep good records of any decisions made. To report to outside maintenance workers any problems or breakdowns which cannot be resolved by the committee. The committee is taught the names and functions of every part of the handpump. They dismantle it and reassemble it. They also assemble it without some parts so that they are able to understand the results of the absence of that part. At the conclusion of the training, all ten members become mechanics of the borehole and can fix boreholes anywhere. Now we invite you to learn about the building of the well.